Research has proven that adults learn best when the process involves strategic thinking, engaging experiences, application and reflection to synthesize learning. At The Browne Center we work with you to create a learning environment where discussions enhance individual and organizational performance. We offer a variety of services which includes consultation and training modules. These span from webinars to one day workshops, week-long institutes and multi-year conferences offered onsite at your location or at our 100+ acre campus in Durham, NH. Your unswerving professionalism and talent crushes all the “workplace team-building retreat” jokes and stereotypes, as you put us all at ease and made the day effective. And fun! All three of these activities forced the groups involved to slow down and take the input of others into consideration. They were brilliantly designed to relate back to work and the end result was extremely impressive. With experiential learning, you often catch yourself ‘in the act of being yourself’. When this happens, it can be a doorway to learn amazing things about yourself and others. Leading High Performance Teams: Understand the dynamics of a high performance team. Identify practical ways to improve teamwork and build new teams. 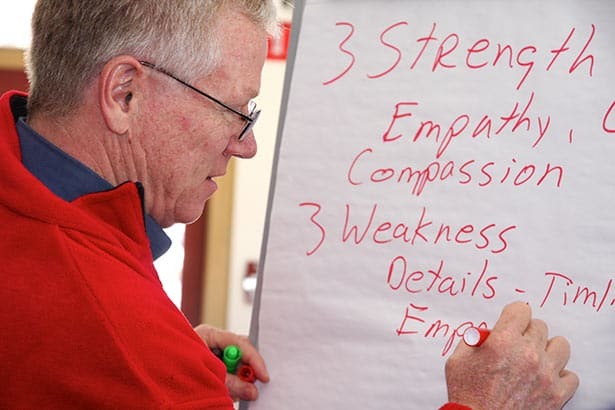 Understand where your greatest team leadership strengths lie. Recognize that teams need different styles of leadership at different stages to perform well. Understanding Behavior: Learn your behavior style and understand how you impact others. Recognize the behavior styles of others and understand their style needs. Identify how and when to develop flexibility to meet the style needs of others. Managing Conflict: Examine the nature of conflict. Examine your own ways of managing conflict. Develop more effective strategies of managing conflict with ourselves and others. Leading Under Pressure: Understand the science behind the stress response. Understand the impact of distress on memory and critical thinking. Understand the importance of stress management on effective leadership practices. Explore techniques to manage our response to stressors. Develop a personal stress management plan. Experience Change: Introduce a common framework for effective change management. 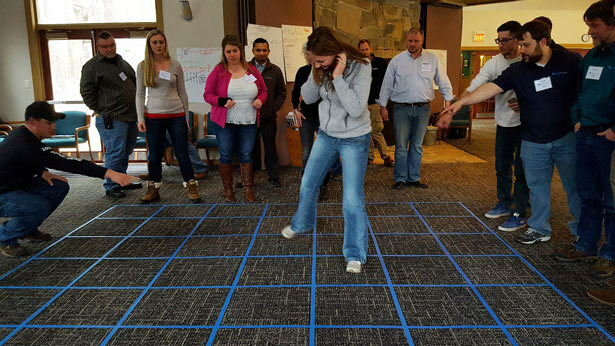 Engage in a business simulation to create deeper understanding of the human side of organizational change. Explore common dynamics of change in a neutral learning environment. Increase awareness of personal accountability for effective change agent. Everything DiSC™ Suite – This research-validated model helps build more effective working relationships based on an understanding of different behavioral styles. Better employee communication means efficiency on both individual and company levels. The Five Behaviors of a Cohesive Team™ – Powered by the Everything DiSC® model, this tool helps members balance their individual workplace styles with an appreciation of those of other members. A team achieves business results when members master The Five Behaviors: Trust, Conflict, Commitment, Accountability, Results. *Other instruments are available on request.